Do you want to save time, reduce costs and contractual risk during the commissioning process? We supply skilled staff and analytical services to work on the commissioning of water, wastewater, sludge treatment and renewable energy projects. 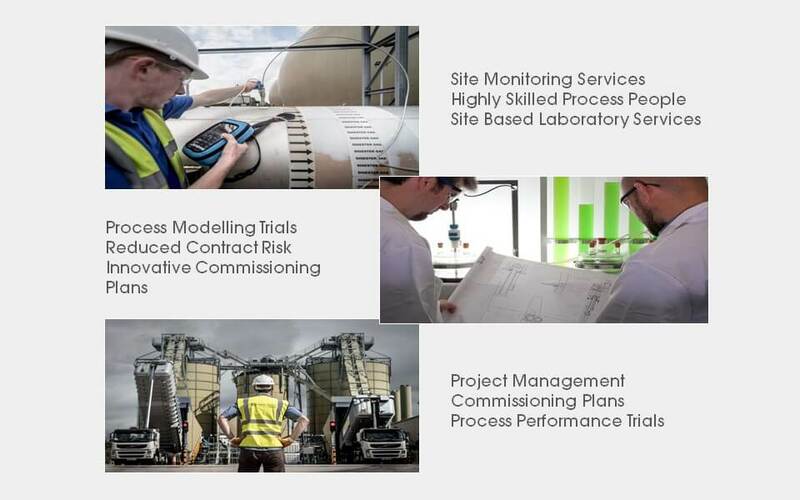 Our specialist knowledge, supported by our process innovation laboratory can optimise performance and reduce commissioning cost. Our staff roles include: analysts, process scientists, process engineers, process managers and specialist roles including chemists, microbiologists and regulatory specialists. All site staff hold valid Construction Skills Certification Scheme (CSCS) and EUSR hygiene cards. We can provide analytical and monitoring equipment as well as full laboratory facilities.